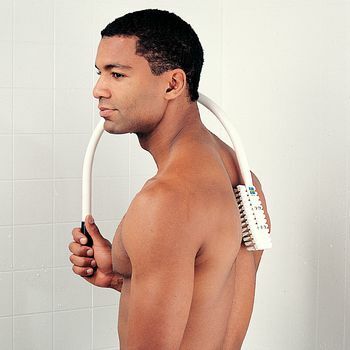 Home > Aids to Daily Living > Bathing Aids > Bath Sponges > Curved Bath Brush, handle is curved 180, total length: 38"
Handle is curved 180° so persons with minimal range of motion can reach their neck, shoulders and back. Total length: 38". Latex free.